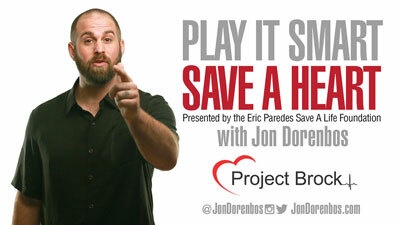 Jon Dorenbos distinguished himself during a 14-year NFL career. He enjoyed a magic moment on America’s Got Talent when the gold buzzer recognized his supreme magicianry. He’s been a regular guest on The Ellen Degeneres Show. But an undetected heart condition stopped him in his tracks. 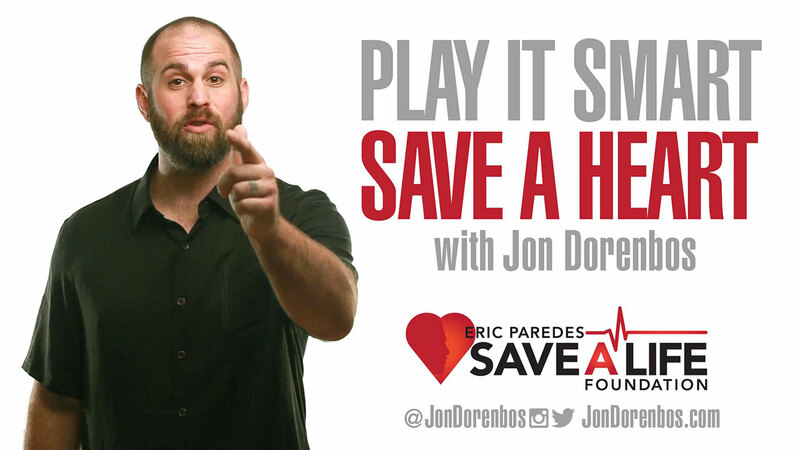 Learn more about why Jon supports preventative heart screenings to protect the 1 in 300 youth at risk for sudden cardiac arrest. Nonprofit organizations can request a co-branded copy of this video to promote sudden cardiac arrest prevention in their community. Use the email form on this page to request your copy. Attach your logo (EPS, or high-res PNG file) to the email. Horizontal logo will fit best in the space. The logo also needs to be visible on a white background. Include any URL or web address you want listed under your logo. Download the licensing agreement from this page, sign and email the waiver back to us. Use the Remit button on this page to make a $150 donation to EP Save A Life, which covers our studio cost to add your logo to the video.